Below you fill find all funeral homes and cemeteries in or near Fairbank. Zip codes in the city: 50629. Some of the notable people born here have been: (chris jans). It was noted by Waterloo/Cedar Falls Courier on January 22nd, 2019 that Caryl B McClain perished in Fairbank, Iowa. McClain was 91 years old. Send flowers to express your sorrow and honor Caryl B's life. It was revealed by Waterloo/Cedar Falls Courier on September 19th, 2018 that Carson McGrane perished in Fairbank, Iowa. McGrane was 12 years old. Send flowers to express your sorrow and honor Carson's life. It was written by Waterloo/Cedar Falls Courier on September 17th, 2018 that Laverne Louis Kuper perished in Fairbank, Iowa. Kuper was 79 years old. Send flowers to express your sorrow and honor Laverne Louis's life. It was written by Waterloo/Cedar Falls Courier on September 16th, 2018 that Wesley Richard Sauerbrei died in Fairbank, Iowa. Sauerbrei was 87 years old. Send flowers to express your sorrow and honor Wesley Richard's life. It was disclosed by Waterloo/Cedar Falls Courier on August 26th, 2018 that Thomas Paul Sharp passed away in Fairbank, Iowa. Sharp was 69 years old. Send flowers to express your sorrow and honor Thomas Paul's life. It was disclosed by Waterloo/Cedar Falls Courier on August 15th, 2018 that Clair M Levendusky perished in Fairbank, Iowa. Levendusky was 83 years old. Send flowers to express your sorrow and honor Clair M's life. It was reported by Eau Claire Leader-Telegram on June 4th, 2018 that Juanita Christine Meyer (Polege) perished in Eau Claire, Wisconsin. Ms. Meyer was 89 years old and was born in Fairbank, IA. Send flowers to express your sorrow and honor Juanita Christine's life. It was disclosed on April 8th, 2018 that Darlene Marie Niichel (Niemann) passed away in Oregon City, Oregon. Ms. Niichel was 91 years old and was born in Fairbank, IA. Send flowers to express your sympathy and honor Darlene Marie's life. It was revealed by Waterloo/Cedar Falls Courier on March 12th, 2018 that Russell Frederick Cummings died in Fairbank, Iowa. Cummings was 86 years old. Send flowers to express your sympathy and honor Russell Frederick's life. It was written by Waterloo/Cedar Falls Courier on August 17th, 2017 that Kyong Cha Ross (Song) died in Fairbank, Iowa. Ms. Ross was 77 years old and was born in Pusan, . Send flowers to share your condolences and honor Kyong Cha's life. 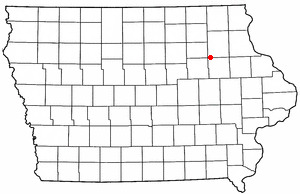 Fairbank is a city in Buchanan County, Iowa and Fayette County, Iowa Counties in the US state of Iowa. The population was 1,041 at the 2000 census. . . . Listing all funeral homes in Fairbank, Iowa so you can easily send flowers to any location (same day delivery) or find any funeral service. Listing for Woods Funeral Home in Fairbank, Iowa, which deals with funerals and cremation. We work with local florists and flower shops to offer same day delivery. You will find budget sympathy flowers in Fairbank here. Our funeral flowers are cheap in price but not in value.